The CLS immersion program has been offering Chinese in the summer for over twenty-five years. We take a communicative, fast-paced approach to language training with students covering all five skills of language study—speaking, listening, reading, writing, and culture. In first-year Chinese, students learn traditional characters as a foundation for all subsequent Chinese study. Students in second- through fourth-year Chinese may choose to continue learning traditional characters or switch to simplified ones. Students in second- through fourth-year Chinese may choose to continue learning traditional characters or switch to simplified ones. While our summer intensive Chinese language courses offer students many opportunities both inside and outside of the classroom to practice listening and speaking skills, significant amounts of time are spent teaching the other two, equally important, skills—reading and writing. Learning to write and read Chinese characters is not limited to the narrow confines of language study, but has the ability to open up doors to broad areas of Chinese culture. For over three thousand years, Chinese characters have played and continue to play a significant role in Chinese culture through art, literature, history, politics, anthropology, and society. One of the clear advantages of our program, and one which students consistently value highly, is the daily interaction that they have with their instructors. 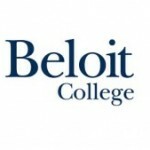 The Chinese instructors, much like their students, leave their families and homes behind in order to teach at Beloit, and they have decided to do so with one purpose in mind—to help their students gain a year’s worth of language training in eight weeks. Time spent in the classroom is one of the most valuable aspects of our program; however, instructors do far more than teach. They live in the same residential halls with the students, share lunch and dinner with them at the Chinese language tables, provide outside tutorial sessions in the evenings, and participate actively in the Chinese cultural programs and events.